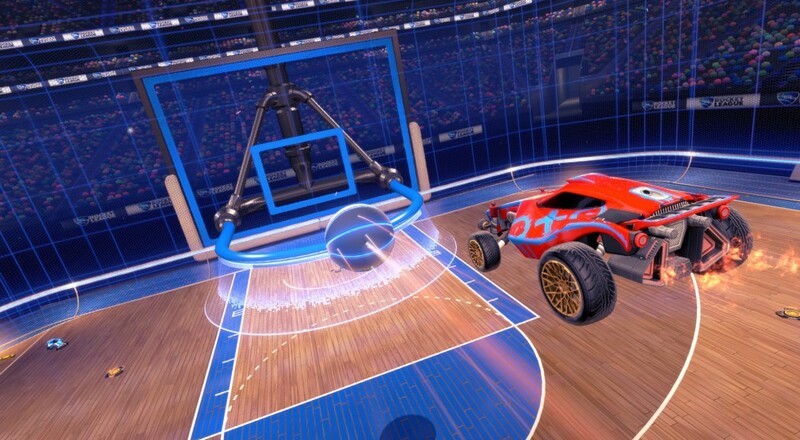 In celebration of the NBA playoffs, Rocket League has added a new game mode (for free) to their title, "Hoops." The turbo-powered cars trade the pitch for the hardwoods, and the well-known goals for nets. Just as with the other game modes, you can play this online with friends against a team of bots. The "Hoops" mode places a distinct emphasis on aerials as you'll be attempting to get the ball up in the air and over the rim of a giant hoop. This is the perfect mode in which to test your flying skills, or hone them. You can also purchase some new flags so you can proudly sport the logo of your favorite basketball team. The "Hoops" DLC has been added to all versions of Rocket League on PlayStation 4, PC, and Xbox One, and can be accessed when setting up a match.